Facing a severe toothache after the hours of a normal dental care unit could be stressful, which is why 24 hour emergency dentists are your go-to people in such situations.They are a necessity in each and every city around the world, in order to see all sorts of emergencies regarding dental and oral health. They offer solutions to everything, from tooth extractions to gum disease treatment. While a few are open for 5 days a week, others are available on all days of the week. This way, it is easy to rush to their unit in times of trouble. Containing over 170,000 people, Springfield is not just famous because of ‘The Simpsons’; this area has a lot to offer in terms of sightseeing and entertainment. Almost 53% of the population is made up of women who often tend to have a deficiency of calcium, iron, and vitamin D. As a result, it may not be uncommon for most of these women to require the services of dentists. Hence, the abundance of emergency dentists around Springfield is a relief. These dentists could easily see to it that the city is filled with happy and healthy smiles. Open from Mondays to Fridays, the Aspen Dental care center is home to a professional bunch of dentists who understand all sorts of dental problems and complications. It is also possible to land yourself an appointment on Saturdays, which is definitely useful for those busy people who cannot go in for a dental check-up during the weekdays. To reach Aspen Dental, call at 217 280 4801. Their website gives potential patients an idea of the prices of different services. Moreover, they show a bunch of neat offers that are hard to resist, especially if you are one who visits the dental clinic several times a year. Offering evening appointments, the 21st Century Dental center has a bunch of great reviews on its website that shows the potential of the team. It also has an online form for a quick appointment booking. Their services include dentures, oral cancer screenings, laser teeth whitening, cold sore treatments, root canal therapy, and much more. 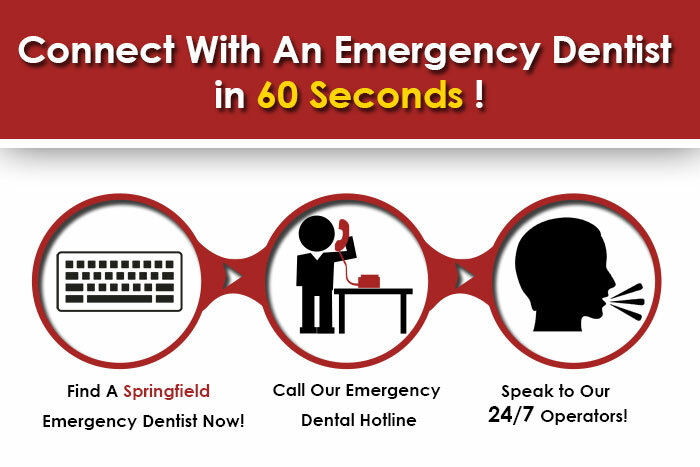 It is also possible to manage a same day appointment at the 21st Century Dental center by calling on217 698 9500. You do not require an insurance to be able to afford the services of this dental care unit. Friendly and welcoming, the team of the Advanced Dental Care of Springfield is seasoned and effective specialists. They are at your service from Mondays to Thursdays from 8.00 a.m. to 8.00 p.m. On Fridays, you could catch them at any time between 7.00 a.m. and 2.00 p.m. Advanced Dental Care of Springfield is also open on Saturdays, just twice a month. To reach them, call at 217 546 3333.